Three Rivers Press, 9780307338600, 336pp. Gossips began whispering about Princess Helen from the moment of her birth. A daughter of the royal house of Sparta, she was not the progeny of King Tyndareus, they murmured, but of Zeus, king of the gods. Her mother, Queen Leda, a powerful priestess, was branded an adulteress, with tragic consequences. As Helen grew to adulthood her beauty was so breathtaking it overshadowed that of every woman in Sparta. When she was kidnapped by Theseus, king of Athens, in a gambit to replenish his kingdom’s coffers, she was relieved to get away from the place where she had been so unhappy. Helen fell in love with the much older Theseus, and to his surprise, he returned the feelings. But soon Helen was forced to return to Sparta and was hastily married off to the tepid Menelaus for the sake of an advantageous political alliance. After years of marriage, the spirited, passionate Helen was not the docile wife King Menelaus desired, and when she fell in love with another man—Paris Alexandros, the prodigal son of King Priam of Troy—Helen unwittingly set the stage for the ultimate conflict: a war that would destroy nearly all she held dear. 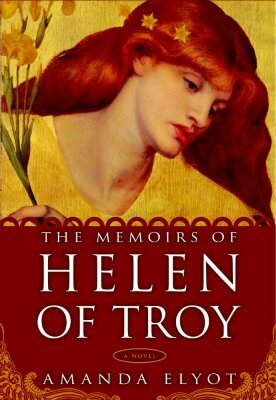 In this lush, compelling novel of passion and loss, Helen of Troy, a true survivor, tells the truth about her life, her lovers, and the Trojan War. This is the memoir that she has written—her legendary beauty still undimmed by age. Amanda Elyot is a pen name of Leslie Carroll, author of several novels of contemporary women's fiction. An Ivy League graduate and professional actress, she currently resides in New York City.